I love being a stylist because the idea of mixing and playing with fashion is intriguing. So for this episode of the stylist, we had a very special guest with us who went to one of our go-to stores in town and hand-picked her favourite pieces from the Gul Ahmed Spring/Summer collection 2018. 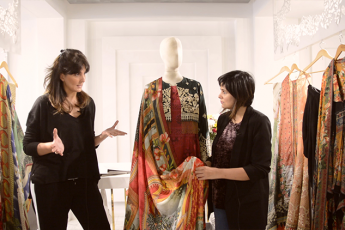 Let’s find out what we chose when Mira Sethi and The Stylist went to Gul Ahmed.